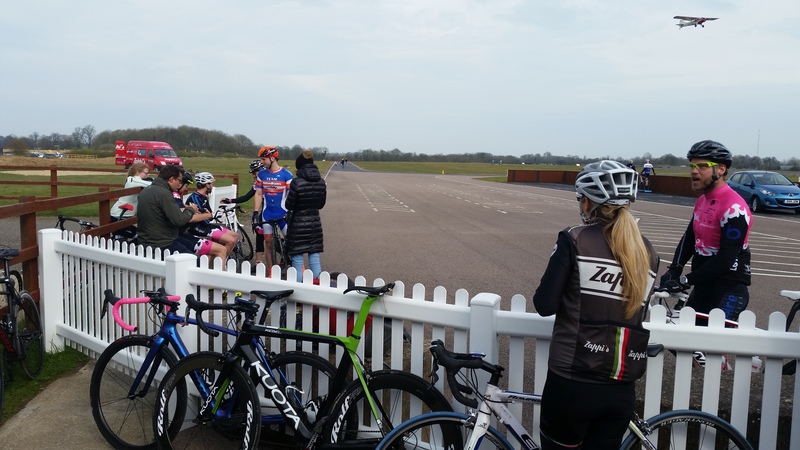 This weekend seemed to announce itself as the start of spring, with some warmer temperatures and even some gorgeous sunshine luring even the most hardy riders out onto the road. On the racing side we had some great successes this weekend in some hard races. On Saturday we had Isaac Mundy racing at the Lee Valley Velopark in London, coming in a very respectable 5th in a very fast bunch finish in the 3/4 race. Tom Bolton was a bit closer to home taking part in Newbury RC 14m hilly TT and coming home in 4th place, a very respectable ride on a road bike. 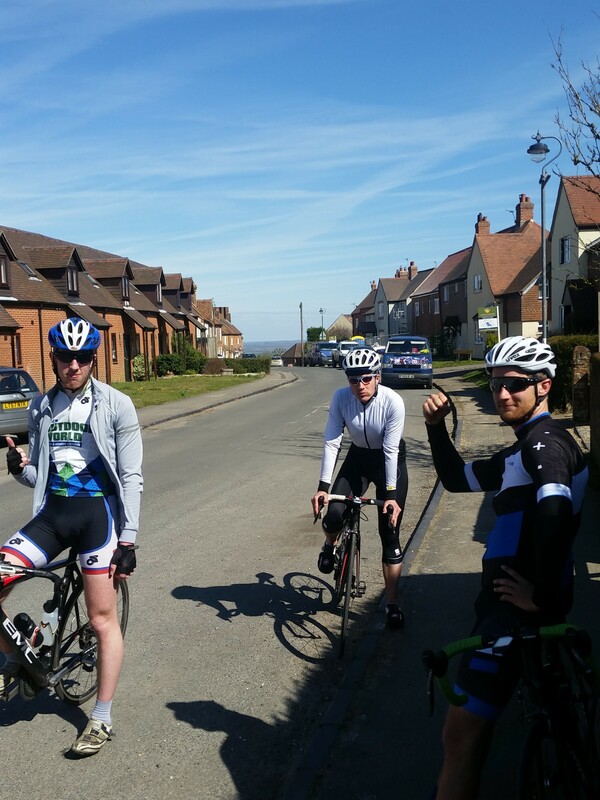 A few of the graduate students actually in Oxford itself had a sunny smashfest around Brill, going up what felt like every hill in the area, including Brill hill itself at least 4 times, leading to some very tired legs! 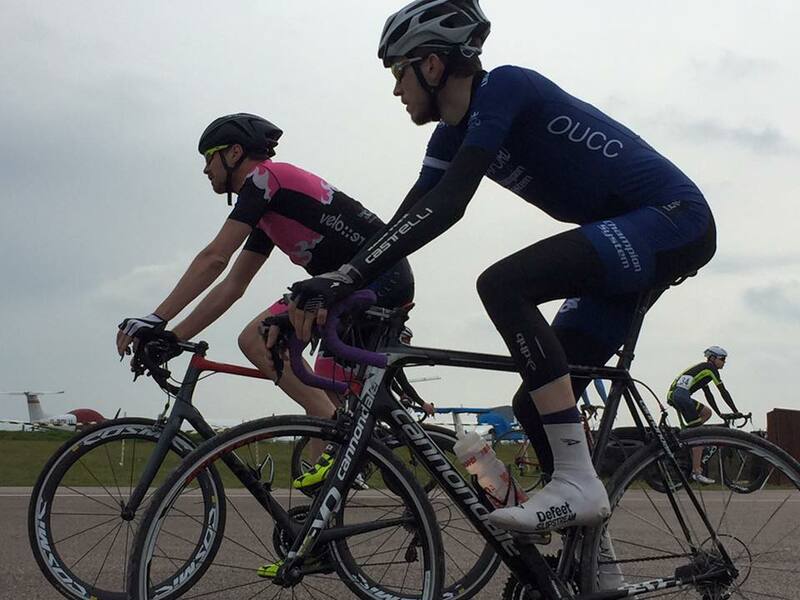 Sunday saw James Lambton, our resident 2nd Cat racer, taking part in the Fenland Clarion Road Race new Peterborough. Fighting some nasty crosswind echeloning action, he got around to finish in the bunch. Isaac Mundy wasnâ€™t satisfied with yesterdays 5th place in a crit, so lined up for his first ever Regional A Road race, the Chelmer RR. Not that youâ€™d know it was his first road race given he rode very smart in the bunch, taking out the bunch kick behind a lone rider for 2nd place. That puts him at 2 points short of a 2nd Cat licence, all in the space of 5 weeks, big things to come from the Monster Mundy! Angus Fisk lined up at the final Zappis Crit at the Enstone circuit, in his first race as a 3rd Cat. Fighting crosswinds all day as well he finished in a much reduced bunch. None of these compare to the massive efforts of the Rowers of the cycling club. 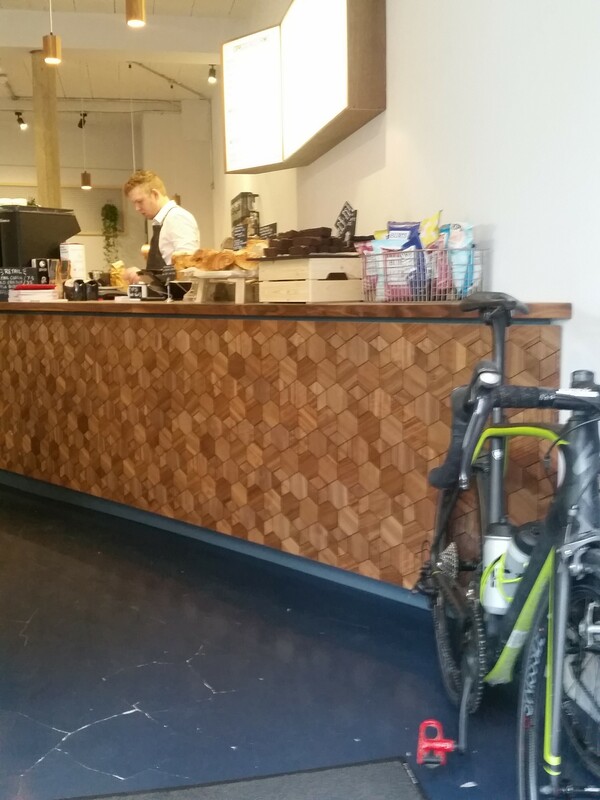 Thibaut led the charge of a ride from Oxford, over to Cambridge â€¦ and back again! 250km at an average speed of almost 31kph is a massive effort, congrats to all who took part! Itâ€™s only one week now until the BUCS Time Trials start. Weâ€™re sending a strong squad over to Cambridge for the 10 this Saturday, looking forward to seeing what our team can do! Until then, safe riding. Get out and enjoy the weather! credit to AgnyteMilukaite from cycle.landÂ Â for the cover photo.